The powerful injection mortar for rebar connections and cracked concrete. The injection system, comprising the epoxy resin mortar FIS EM combined with a threaded rod, is suitable for pre-positioned and push-through installation. Resin and hardener are stored in two separate chambers and are not mixed and activated until extrusion through the injection capsule in the static mixer. The mortar is injected bubble-free from the drill hole base. 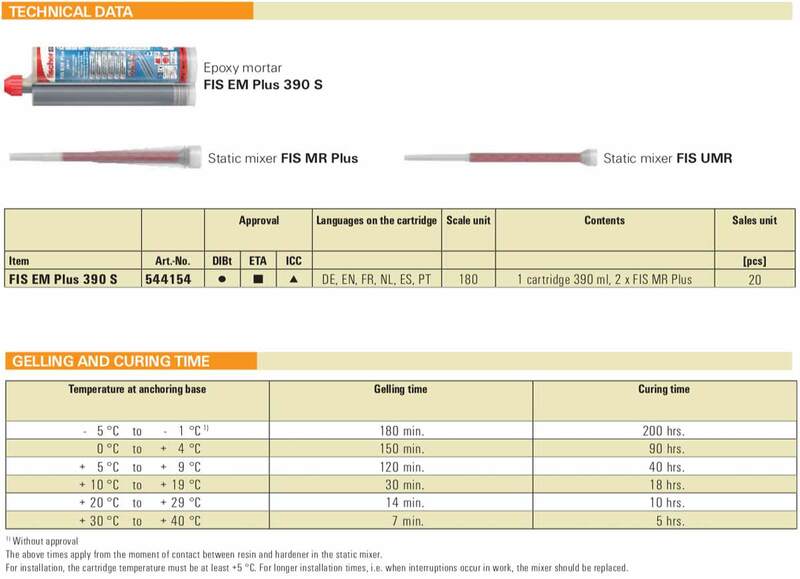 The injection system, comprising the epoxy resin mortar FIS EM Plus combined with a threaded rod, is suitable for pre-positioned and push-through installation. Resin and hardener are stored in two separate chambers and are not mixed and activated until extrusion through the injection capsule in the static mixer. The mortar is injected bubble-free from the drill hole base. 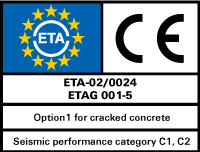 It can be processed at low temperatures down to 0°C (outside of the assessment even down to -5°C) as well as seismic applications of performance categories C1, C2. The versatile fixing system with injection anchor sleeves for perforated brick masonry. The plastic fischer injection anchor sleeve FIS H K is the system component for the use of fischer injection mortars in perforated brick masonry within through-type installations. To do so, the anchor sleeve is placed in the drill hole and filled with injection mortar from the anchor sleeve base. When setting the rod anchor or the internal threaded anchor, the mortar is pressed through the lattice structure and then connects with the perforated brick by an interlock. This means that the load is directed into the building material. Non-bearing layers can also be bridged with the injection anchor sleeve. The concrete all – rounder. Thanks to its high bond strength, Superbond mortar FIS SB achieves a very high load level for safe use in cracked and non-cracked concrete. The Superbond mortar can even be used at extremely high temperatures of up to +150 °C. This opens up new application ﬁelds, where no chemical anchor could be used previously. The Superbond mortar FIS SB is approved for seismic applications, which ensures safety even under extreme conditions. The versatile injection mortar for anchorings in masonry and cracked concrete. The injection mortar FIS V is a 2-component injection mortar based on vinyl ester. 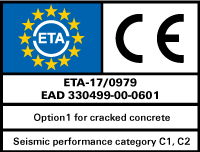 It is approved for use in cracked and non-cracked concrete, masonry and for special applications. 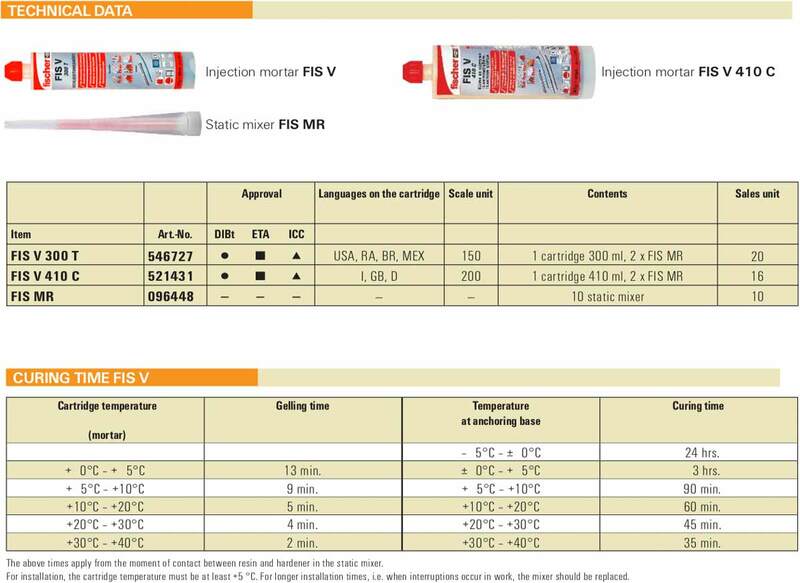 FIS V is thus the universal injection mortar family with guaranteed reliability for practically all areas of application. The Superbond resin capsule RSB is approved for cracked and non-cracked concrete and it is especially economical for individual application and overhead installations.The resin capsule RSB is fast curing, enabling an installation without waiting times and approved processing at frosty temperatures of –30°C. 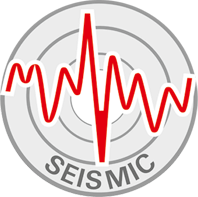 The approval for seismic applications, water filled and diamond drilled holes ensures safety under extreme conditions. 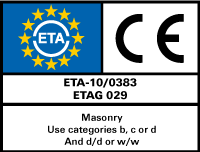 Often used for removable or temporary fixings, e.g. for machines. The internally threaded anchor RG MI allows for surface flush removal and reuse of the fixing point, and therefore offers the best possible flexibility. The metric internal thread has an ideal adaptation ability, allowing for the use of standard screws or threaded rods to suit the intended purpose. The injection system is suitable for prepositioned and push-through installation when combined with threaded rod ATR. The mortar is extruded bubble free from the drill hole base and the mortar bonds the entire surface of the threaded rod with the drill hole wall and seals the drill hole. The threaded rod is set manually, by lightly rotating it until it reaches the drill hole base. The proven rod anchor for external use with a mortar cartridge or injection mortar. 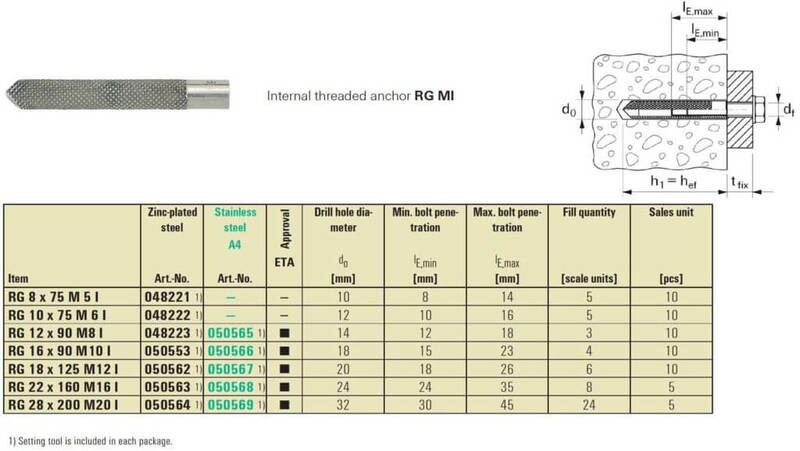 The fischer rod anchor RG M is produced from stainless steel. The anchor rod is a systems accessory for various fischer mortar cartridges or injection mortars. Application with pre-portioned mortar cartridges is especially cost-effective for individual fixings. During mounting with the resin capsule, set the fischer anchor rod RG M through rotating and hitting motions with a hammer drill. The capsule is destroyed during the setting process, which mixes and activates the mortar compound. During mounting with injection mortars, the anchor rod is pushed into the drill hole manually by lightly rotating it. The system is particularly suitable for cost-effective fixing of machines, steelwork constructions, and supporting feet in external areas. Longlife Foam Gun for expanding foams. The AnchorMark foam gun meets the tough requirements of a construction site and thus offers a long lifespan. The adjustable control of the foam flow allows for a controlled filling and insulating and enables application orientated work. A single component filler foam with effective fire resistance. The Firestop Foam from fischer is excellent for acoustic and thermal properties. It is a single component, self-expanding polyurethane filler foam designed to absorb moisture from the atmosphere and offer effective fire resistance. Providing a high foam yield, it has excellent adhesion properties, high bond strength, and can adhere to most building materials. Once the foam sets, it cures to a semi-rigid structure which accommodates low movement and vibration. It does not shrink or expand after setting. This CFC free propellant also features acoustic and thermal resistance which makes it an effective seal against smoke. It can be rendered, cut, painted or sanded. This foam has been tested to the DIN 4102, BS 476 and EN1366-4 and helps to maintain the sound reduction index of a structure. The Firestop Foam is suitable for use in concrete, masonry, as well as steel and timber as backing material. Some of its applications include construction joints in walls and floors, insulating and sealing doors and windows, backfilling material for service penetrations and filling general voids and cavities. The Firestop Trigger Foam from fischer is excellent for acoustic and thermal properties. It is a single component, self-expanding polyurethane filler foam designed to absorb moisture from the atmosphere and offer effective fire resistance. Providing a high foam yield, it has excellent adhesion properties, high bond strength, and can adhere to most building materials. Once the foam sets, it cures to a semi-rigid structure which accommodates low movement and vibration. It does not shrink or expand after setting. This CFC free propellant also features acoustic and thermal resistance which makes it an effective seal against smoke. It can be rendered, cut, painted or sanded. 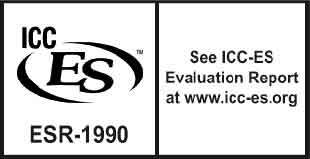 This foam has been tested to the DIN 4102, BS 476 and EN1366-4 and helps to maintain the sound reduction index of a structure. The Firestop Foam is suitable for use in concrete, masonry, as well as steel and timber as backing material. Some of its applications include construction joints in walls and floors, insulating and sealing doors and windows, backfilling material for service penetrations and filling general voids and cavities. Ideal for repairing damaged zinc coatings using colour matching corrosion protection. Zinc Alu Spray enables a subtle repair to damaged hot-dip galvanised areas thanks to its colour matching with the hot-dip galvanisation. Thanks to the excellent holding properties on bare metal, it guarantees a lasting connection to the base material. The fast-drying Zinc Alu Spray guarantees good, weatherproof corrosion protection and, as such, is suitable for use both indoors and out. The FTC Zinc Spray are useful for all kind of metals that need corrosion protection and is perfect for the coating of drilling and cutting points as well as welded joints. The surface is dust-dry after just approx. 8 minutes and it is fully hardened within 24 hours. The FTC Zinc Spray have excellent corrosion protection with long-term effect and a heat-resistant up to approx. 500°C. The flexible adhesive and sealant for interior and exterior use. The MS polymer® allows for an elastic adhesion for vibration-dampening and stress-compensating connections for demanding applications. The extremely high initial adhesion of 110 kg/m² makes it possible to attach lots of components without the need for additional fixing, and thus reduces the amount of time required. The fischer KD-290 material are free from solvents, MDI and silicone and can be painted. Available in the colours: white, grey and black. The high-quality installation foam with reusable fix adapter system. 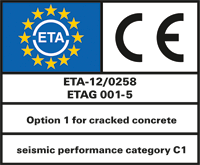 The rapid installation foam PU 1 has been approved as watertight by an external inspection and is thus suitable for use in wet conditions. It fulfills the requirements of a well foam. The reclosable fix adapter allows for immediate use and for the reuse of opened cans, thus guaranteeing long-lasting functionality. The ergonomic handle sits perfectly in the hand and allows for easy use. The gun foam with the perfect dosage. The easy dosage of the PUP B3- Foam allows a controlled filling and sealing and ensures that the correct amount is used. The perfect-fit connection between the can and the gun means that work can be interrupted for as long as you like, and thus guarantees long-lasting functionality. The proven 60dB sound insulation fulfills the standards of modern sound insulation and helps to reduce noise in line with ISO EN 717-1. The Cleaner for PU gun foams. The active components ensure a high cleaning effect, making the cleaner ideal for the safe removal of fresh PU foam. The gun adapter is suitable for all standard systems and enables universal application. The separate spray head allows for the cleaning of external surfaces, making the product extremely versatile. The highly active cleaner can etch sensitive surfaces (paint, dye, textiles, plastics). Thus you should always conduct preliminary tests.